Parents and caregivers are welcome to visit the classroom. All visitors must follow and respect the visitor policy as outlined by the preschool program, Spring Lake Public Schools and Holmes Elementary. This includes any additional documentation required must be provided prior by the caregiver to the preschool program and/or school office. Visitors may also be required to use specific entrances and log arrival and departure times. 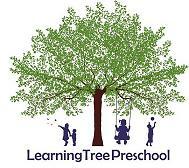 The program will encourage families to become involved in their child’s preschool experience. Research has shown that parental involvement is a key factor in determining a child’s success at school. Primarily, children need to feel that their parents/caregivers take an interest in their activities and efforts. Family involvement may take on different forms; from cutting projects at home, making play dough, or volunteering time in the classroom. For the parents/caregivers that can volunteer in the classrooms, a monthly sign-up sheet will be made available.